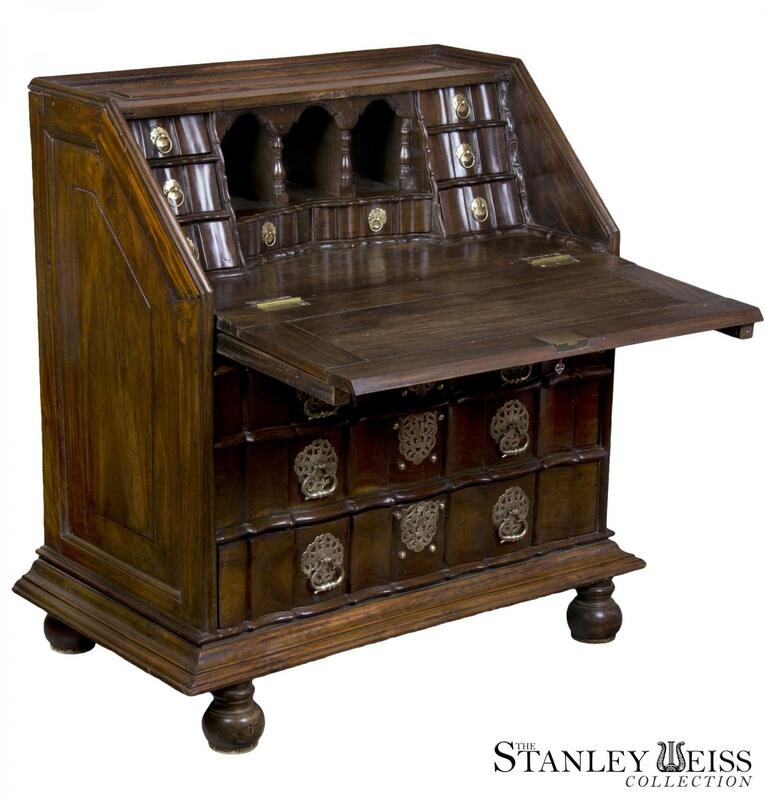 This desk is a tour de force and meant to last forever. 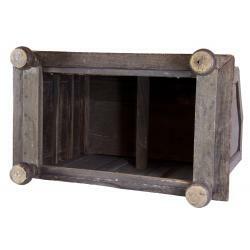 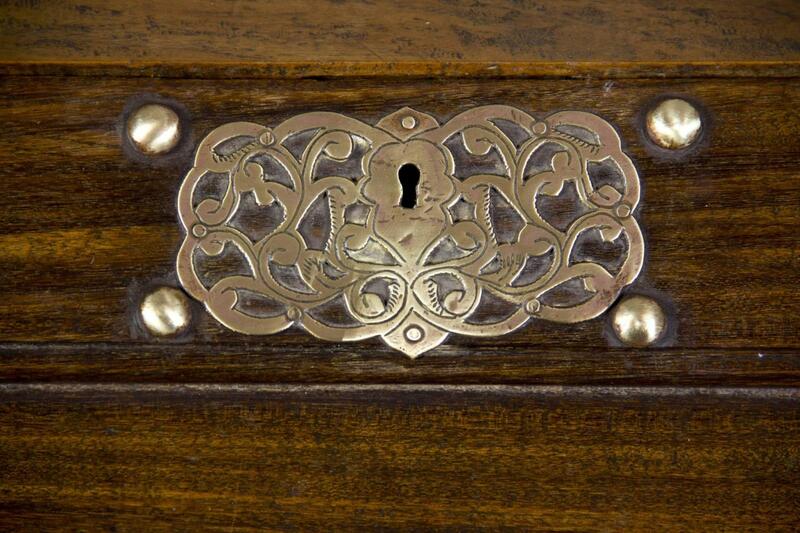 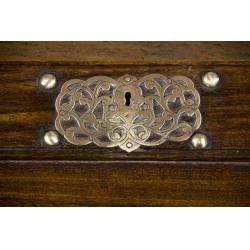 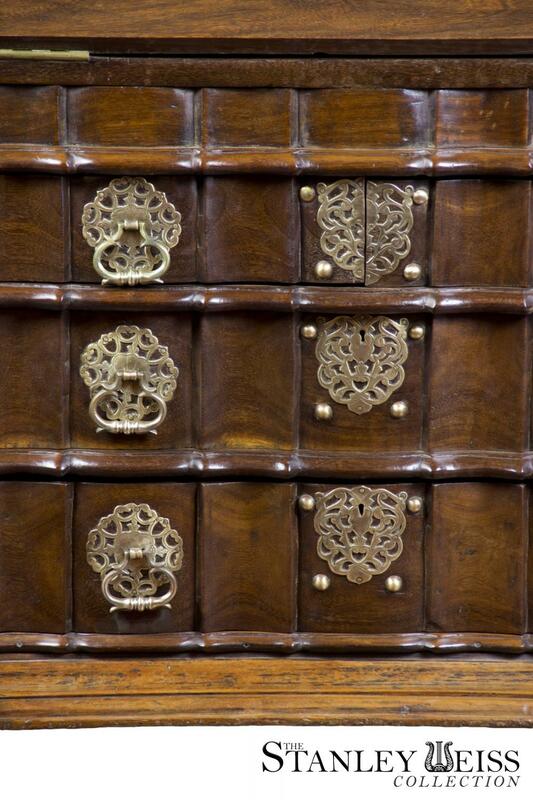 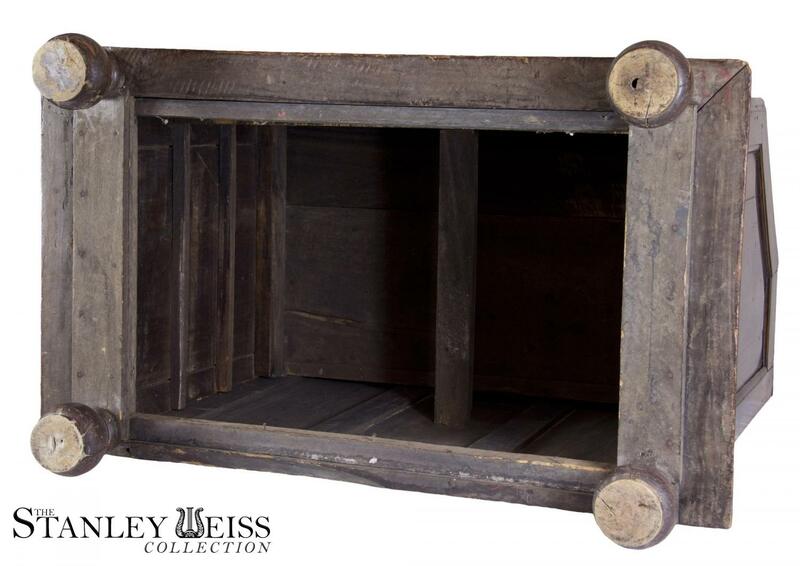 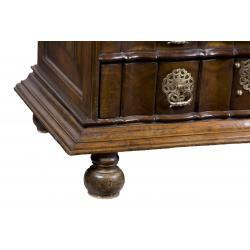 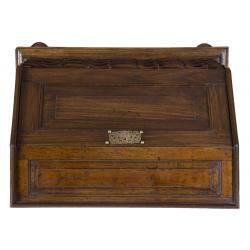 It retains its original 18th century bun feet and intricate hardware. 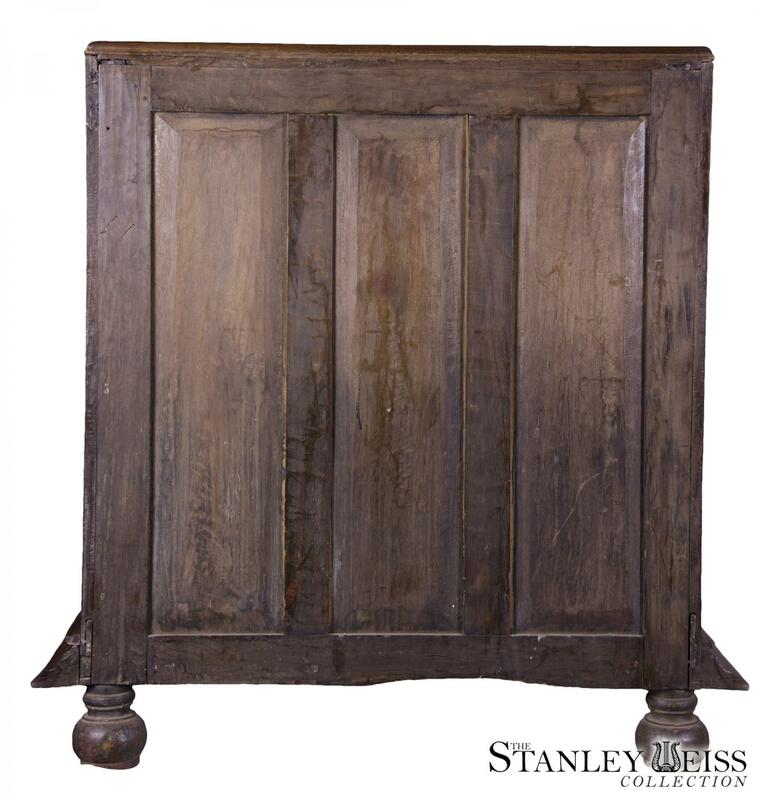 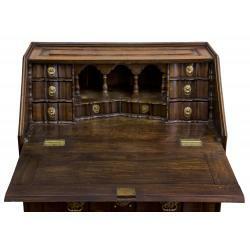 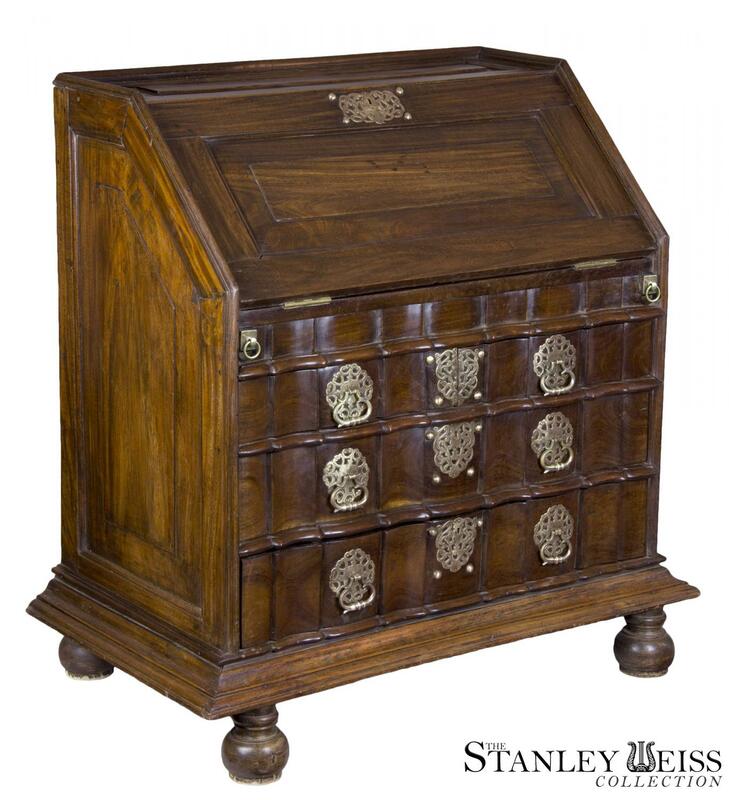 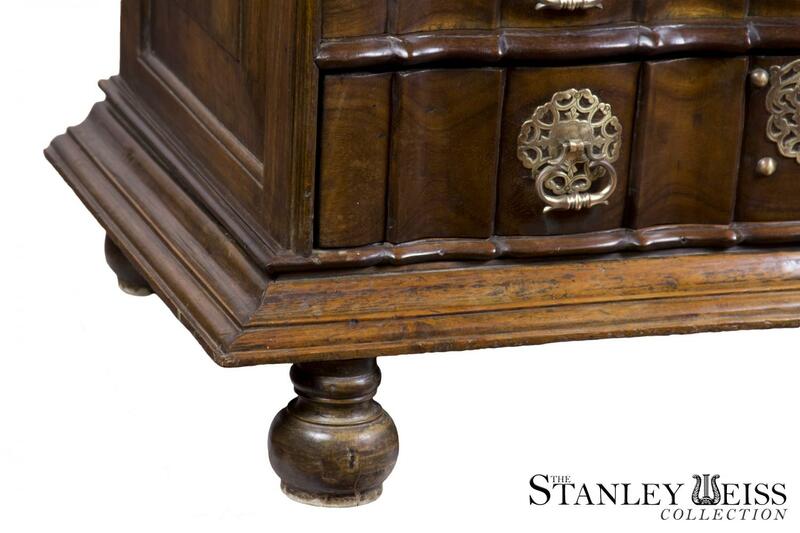 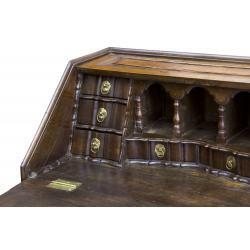 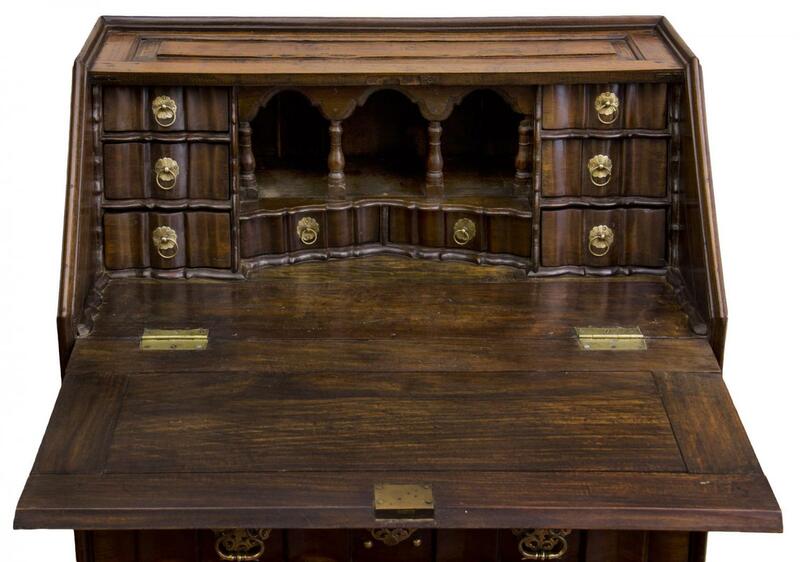 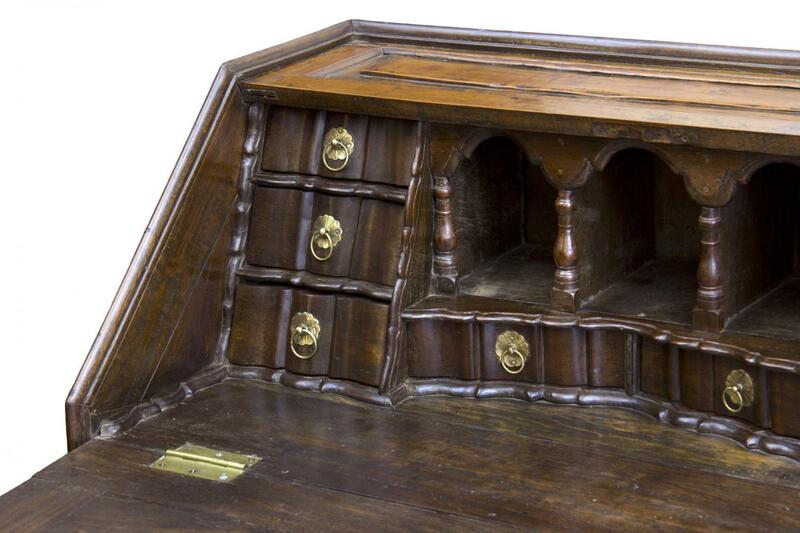 All the sides are paneled and the interior is a fully developed amphitheater form, making it the most desirable of these early Queen Anne period desks. 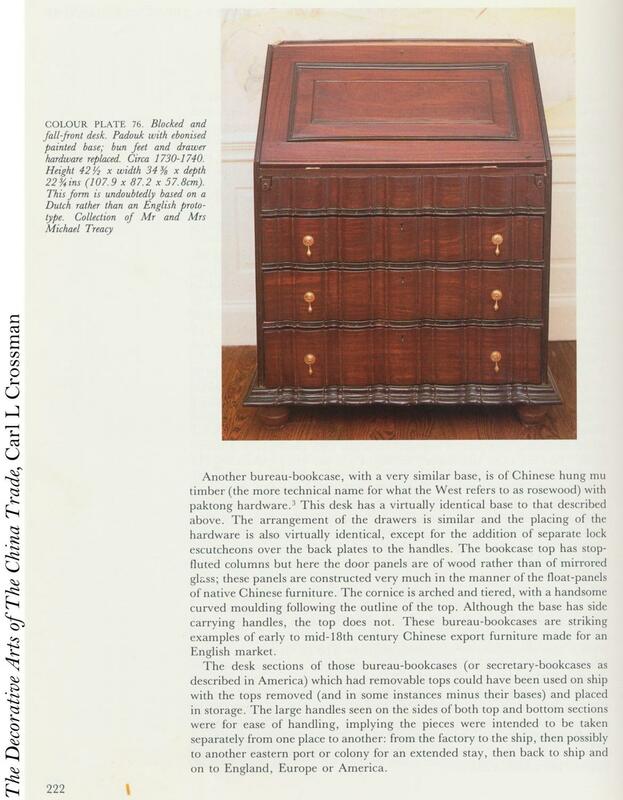 The form itself is related to one shown and discussed in The Decorative Arts of The China Trade, Carl L Crossman, (illustrated below). 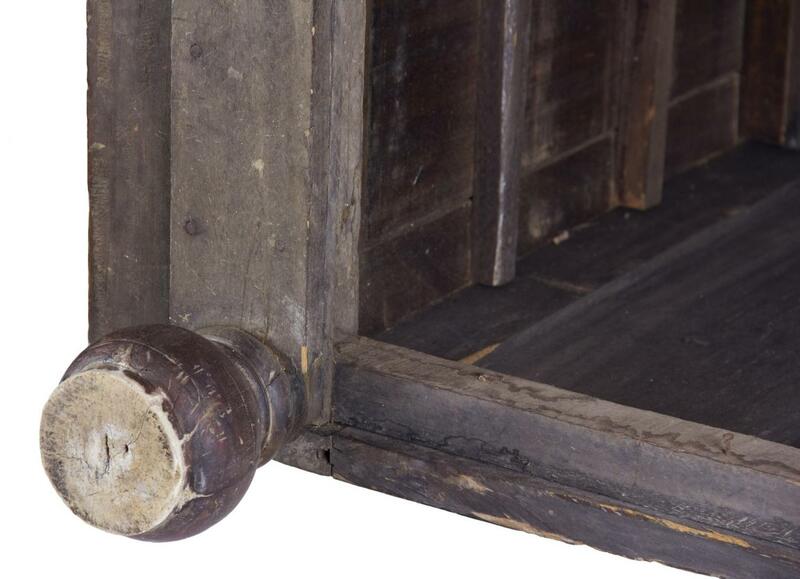 Also of note are the backboards, which are not nailed in, as is commonly done, but panelled and fitted (see rear view below). 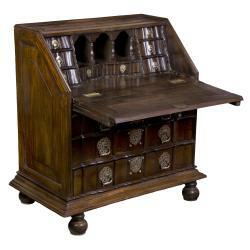 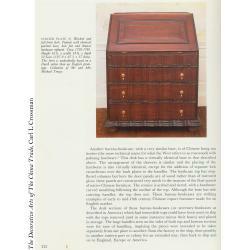 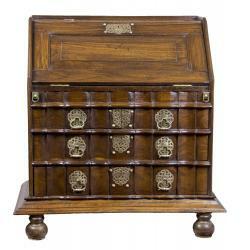 The style, however, relates to the Dutch design in this period and was most likely constructed in Dutch Ceylon, (i.e. Sri Lanka under the governance of the Dutch East India Company). 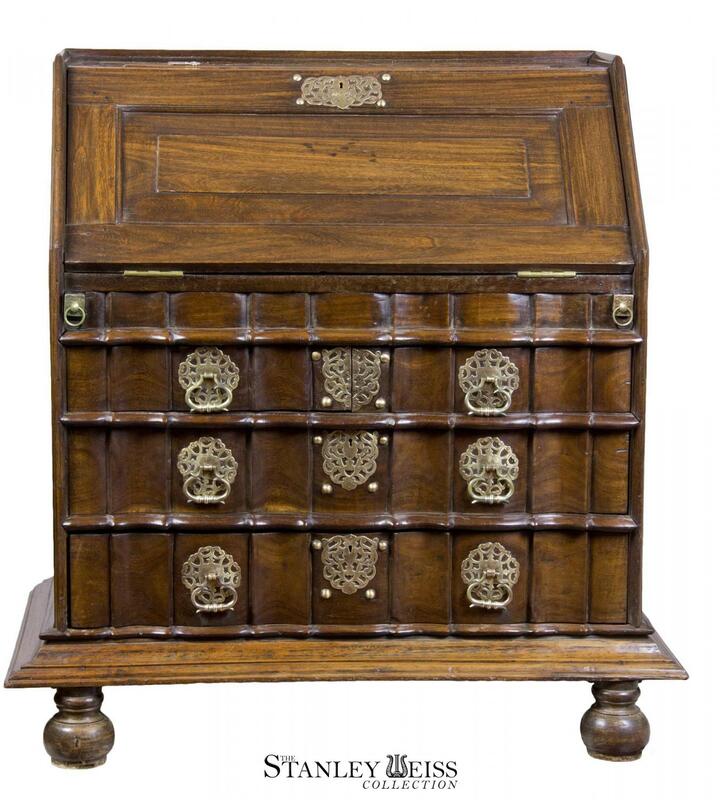 Sometimes, this type of furniture is called “Indian Colonial” however, there is a paucity of research and few examples have survived. 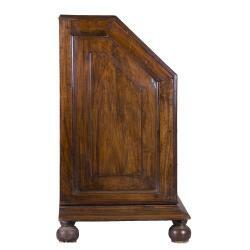 This example is in superb condition which we have waxed and polished. 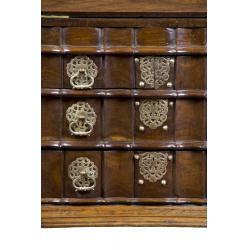 It is one of the finest works of its type with no alterations or repairs. 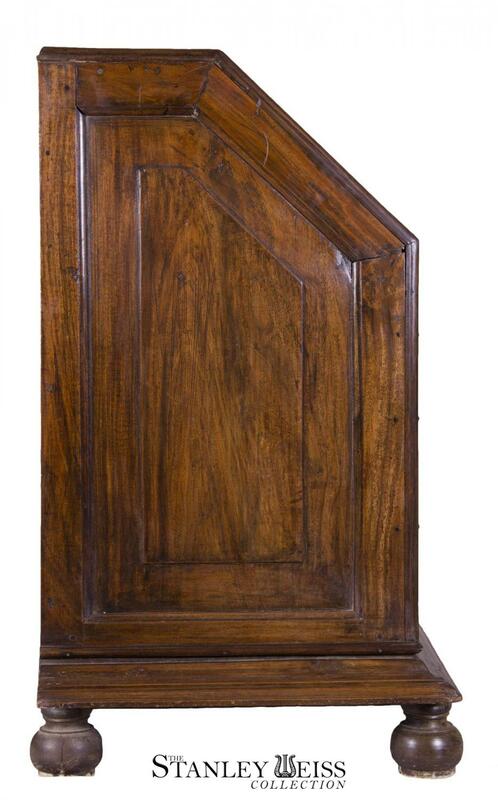 Height: 43 1/2 in. 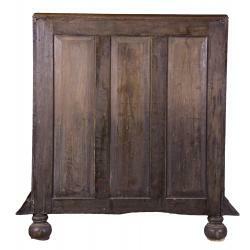 Width: 42 in. 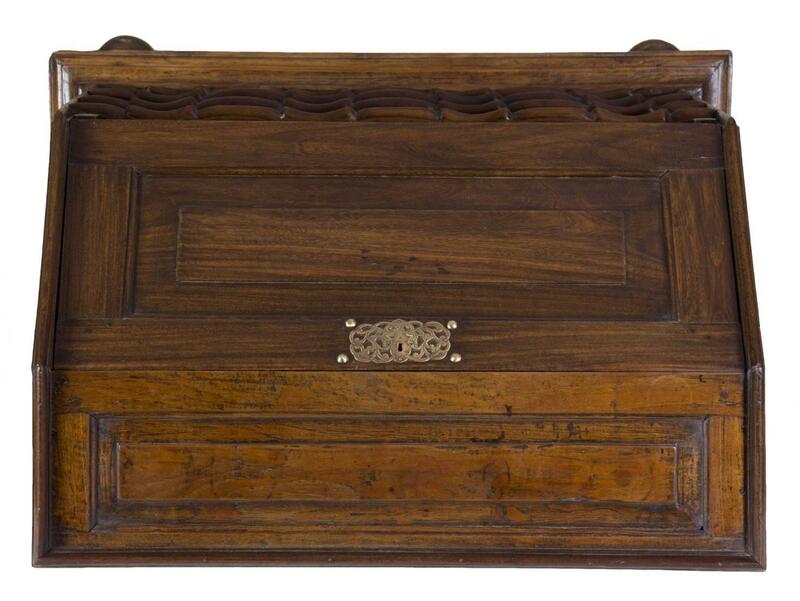 Case Width: 36 in. 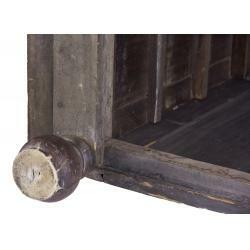 Depth: 24 1/2 in.